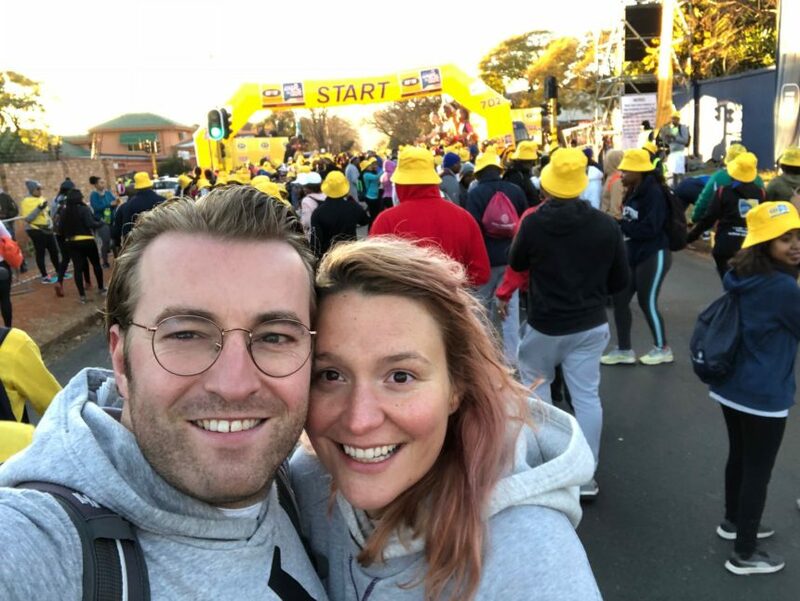 Husband and wife, Kees and Emma Cruijsen, joined forces to raise an impressive R10,500 from friends and family in connection with the 2018 MTN Walk the Talk with 702. Read on to learn more about why they chose to spend their Sunday walking 15km through Johannesburg to raise funds and awareness for LvA’s work. Violence against women and children is an epidemic in South Africa. In the community of Diepsloot, where LvA works, rates of domestic violence, sexual violence, and child abuse are staggeringly high. Despite progressive and victim-centric laws, many victims lack meaningful access to legal relief and often suffer secondary trauma when seeking justice. LvA provides free legal services and trauma counseling to victims of domestic violence, sexual violence and child abuse in Diepsloot. LvA believes that by changing attitudes, we can also change behavior, and ultimately transform the lives of individuals, families, and communities. This is why, on the 22th of July, I’m walking 15 km to raise funds and awareness for this organization and their important cause. Every donation helps ensure that they can continue providing these critical services to victims of violence and abuse.